Anyone else relieved it's Wednesday already? Monday was awful, and Tuesday was honestly just mediocre. Since the weather is nice for the next couple of days I decided to share this tropical mani that I've been holding on to. I meant to post these a while ago, but found myself putting it off in order to keep up with the last nail art challenge. Once dry, sponge a vertical gradient over the top. This step may take several coats to achieve desired opacity. 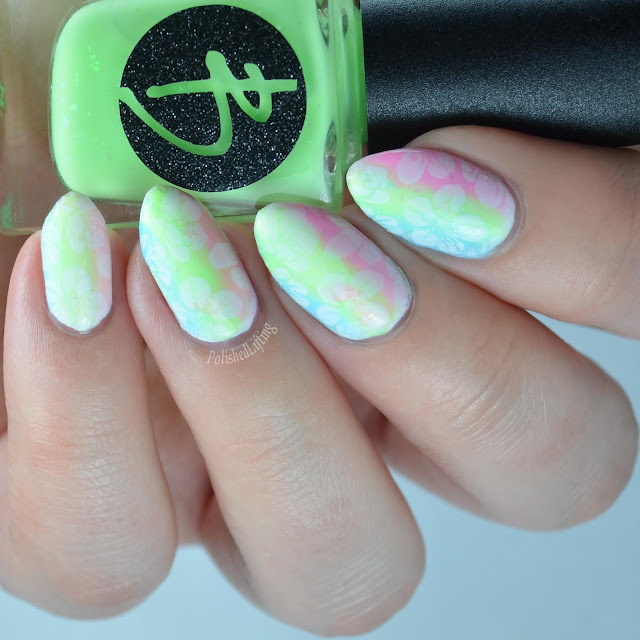 This mani isn't terribly hard to recreate, it just requires a couple extra steps. I personally enjoy doing more complex nail art like this, but I would love to hear what you guys like! Leave me a comment below and let me know what nail art you would like to see in the future.